One word I’m using for my style this summer..SIMPLE. Who doesn’t love throwing on a simple maxi dress and going on their merry way. That is my philosophy for the remainder of this hot summer and I’m sticking to it. 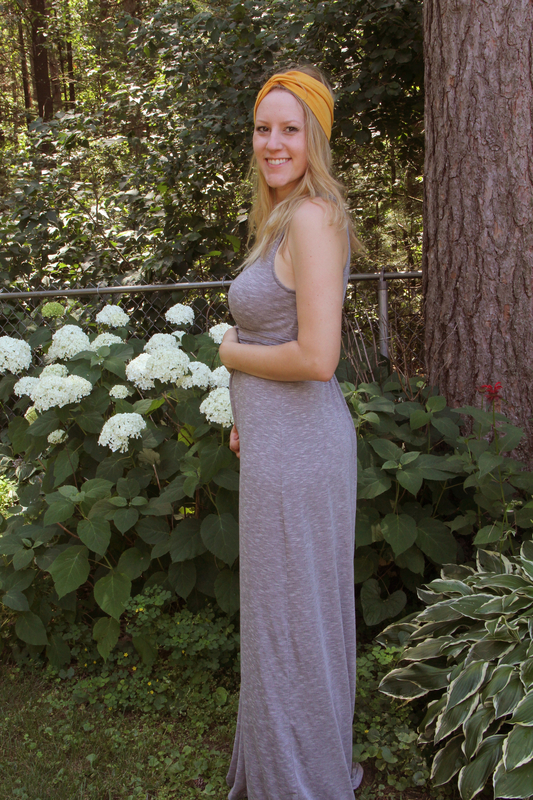 This is a maxi dress I recently found and it’s light-weight, breezy and super comfy! The turban headband is homemade and I’ll be posting how to make it next week. Thankfully I am still able to fit in my normal clothes, but not for much longer I’m afraid. I’ll be 15 weeks along this weekend, so I guess it’s about that time to take out that BeBand. Here’s what that little bambino looks like in this outfit. It’s so fun to be able to post belly pictures now. That’s what I wore this week!